Spend less time tracking down content and managing your files, and more time getting work done. 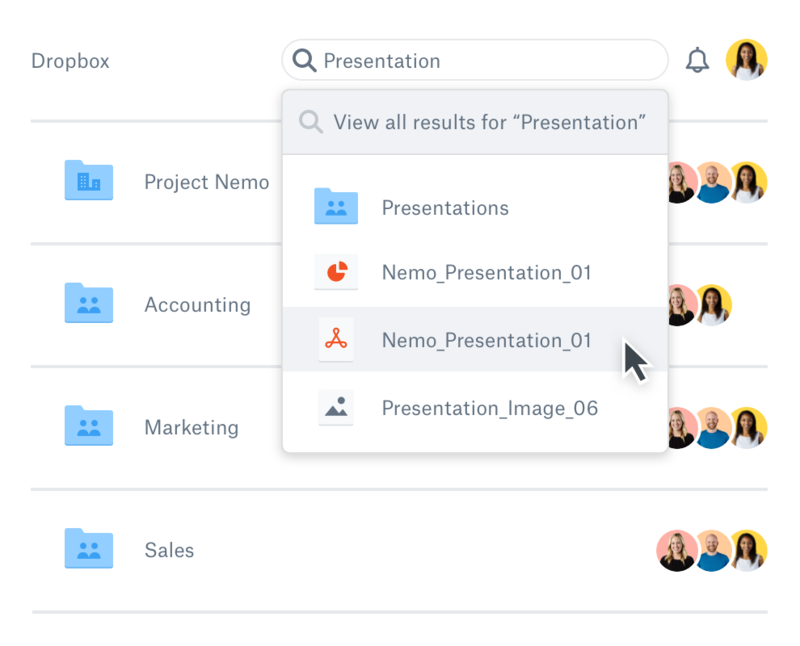 With Dropbox, all of your content is in one central, structured location, with organised folders and files that make it easy to find what you need, when you need it. Collaborating on a project and need to give your team access to files? With Dropbox, you can invite people to a shared folder—and it’s up to you whether to give them view-only or editing permissions to the files inside the folder. Everyone you invite can view and access the folder, subfolders, and files from their Dropbox account, making it easy for them to locate what they need. You can also organise your files and folders logically by creating a group and adding members—a team, a department, or any other grouping that makes sense. When you invite entire groups to shared folders, all the members will have immediate access to the newest versions of files that live inside. 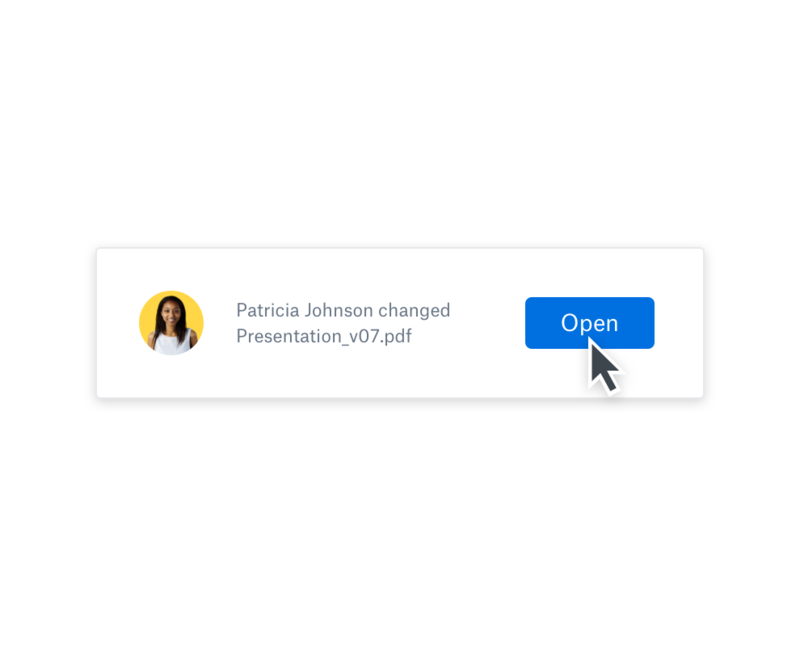 And if you need to share project files stored in different folders, Dropbox Showcase lets you easily present them in customised layouts to clients—all without moving files around. 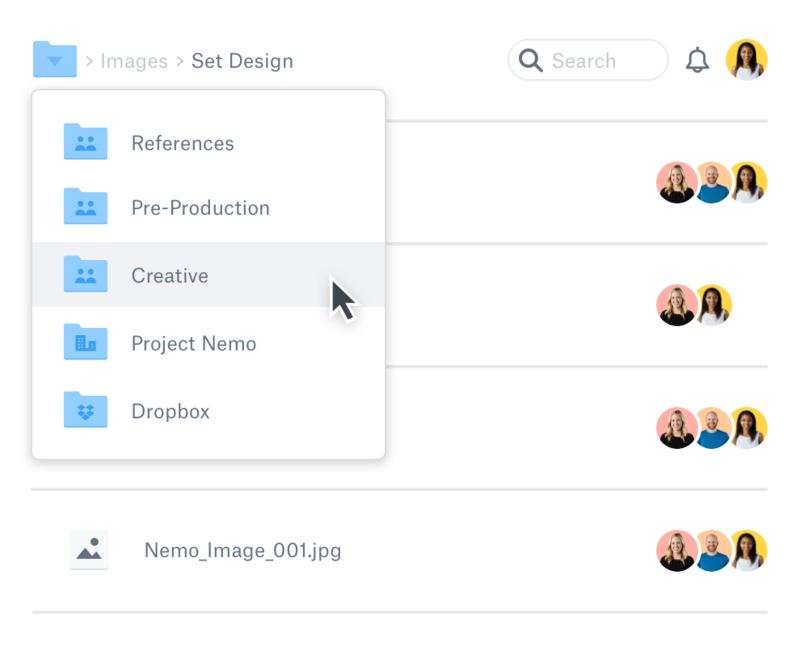 Dropbox folder hierarchy enables your team to view files in an orderly way. Choose how you want to organise your folders and files, so everyone on your team knows exactly where to put things and how to find them. Straightforward folder organisation means less time wasted on tech support for your team, and more time getting stuff done. Sharing multiple versions of files as email attachments can be tedious for you and confusing for your recipients. With Dropbox, any file changes you make will be automatically synced to anyone who shares the file, making collaboration simple. Plus, you’ll get notified when someone has viewed, edited, deleted, or moved files between folders so you can follow up right away. And rather than sending feedback back and forth over email, you can exchange comments with your team right next to the files you’re working on. Only need to share a few files from a folder with your teammates, but want to keep the rest of the folder private? With granular folder permissions, you can share a specific file with anyone—without giving them access to the folder it lives within.